The Central Valley Training and Resource Center (TRC) was one of seven TRCs established by the California Department of Public Health’s Nutrition Education and Obesity Prevention (NEOP) Branch to support the new NEOP infrastructure with local health departments. The TRCs assumed some of the key responsibilities of the 11 previously-funded Regional Networks for a Healthy California. The Public Health Institute’s Sacramento-based team partnered with Cultiva La Salud (formerly Central California Regional Obesity Prevention Program) to serve the Central Valley service area. 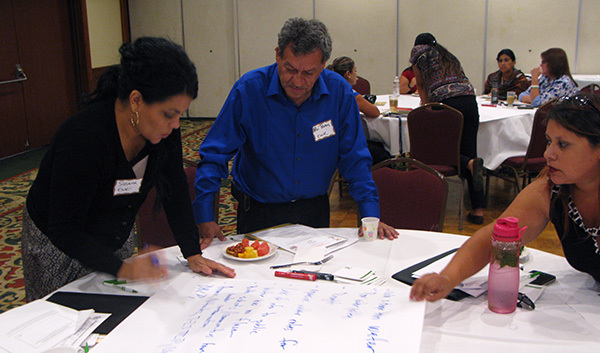 The TRC focused on building the capacity of local health departments and their partners through trainings and technical assistance to improve the health of Central Valley communities. The TRC worked closely with the local health department Nutrition Education and Obesity Prevention programs in the following counties: Fresno, Kern, Kings, Madera, Merced, and Tulare. Collectively, PHI and Cultiva La Salud bring years of experience in training, community engagement, policy , systems and environmental changes and health equity. All of the partners worked together to create healthier communities in the Central Valley.